First impressions last a lifetime, they say, and in the case of Eureka Generic Style L Vacuum Bags, the first impression will mimic the second, third, fourth, fifth, and so on, because these Generic Style L bags are as reliable as the rising and setting of the sun! Your floors will let out a sigh of relief when all the dust and debris is lifted clear off each and every carpet fiber, and your Style L Vacuum Bag will strut its stuff, full of dust and dirt, and show off its durable seams and high capacity! Only in the case of Generic Style L Vacuum Bags are the generic and genuine versions so incredibly comparable! 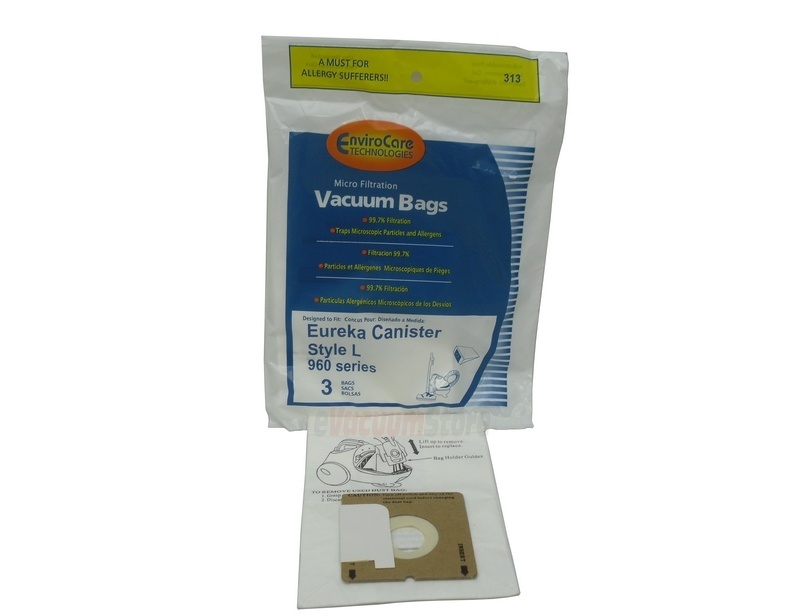 Shop our wide selection of Eureka Vacuum Cleaner Bags for all models at EvacuumStore.com. We carry the largest selection of eureka vacuum bags online today. Evacuumstore.com carries genuine eureka vacuum bags, and also generic eureka vacuum bags to fit all eureka models. So happy I found these difficult size bags. I've been using the old bag and emptying it for a long time. This bag fits great in my Eureka mini mite vacuum. They are super hard to find. So glad this store had them. I will order again. Super price and great and fast shipping. Although not as sturdy as the name-brand bag, these affordable bags function quite well so far and I will likely purchase them again.